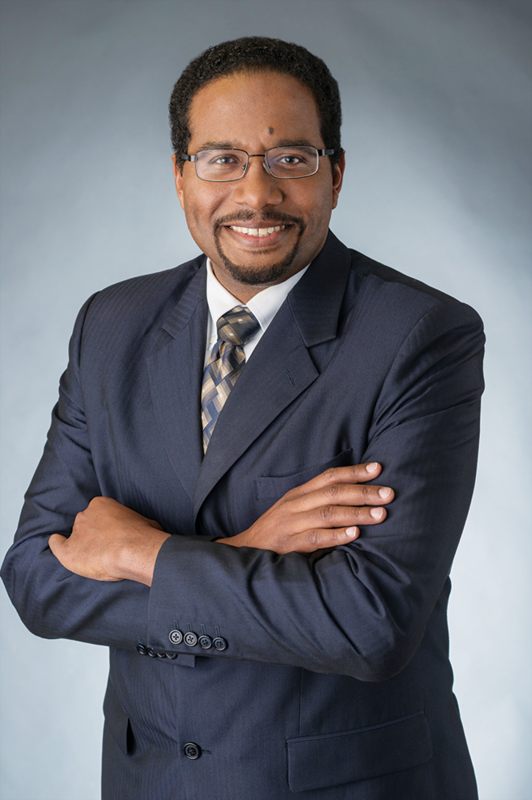 Darryll J. Pines, dean and Nariman Farvardin Professor of the A. James Clark School of Engineering at the University of Maryland, has been elected to the 2019 Class of the National Academy of Engineering (NAE), among the highest professional distinctions accorded to an engineer. The association cited Pines for “inspirational leadership and contributions to engineering education excellence in the United States.” He joins 21 other Clark School-affiliated faculty who have been inducted into NAE, including UMD Regents Professor C.D. “Dan” Mote Jr., former UMD president and current NAE president. Pines is the second Clark School dean to be elected to NAE. Professor Emeritus of Mechanical Engineering and former Dean George Dieter was elected “for contributions to engineering education and materials design and processing” in 1993. As dean of the engineering school with over 6,000 students, Pines led the development and implementation of a strategy to improve teaching in fundamental undergraduate courses and raise student retention, achieve success in national and international student competitions, place new emphasis on service learning and grand societal challenges, promote STEM education among high school students, increase the impact of research programs, and expand philanthropic contributions to the school. Most notably, Pines was instrumental in securing a $219.5 million investment—among the largest gifts ever to a public university—from the A. James & Alice B. Clark Foundation. Building Together: An Investment for Maryland is funding need-based scholarships campus-wide, as well graduate fellowships, faculty positions, infrastructure, and other initiatives. Pines’s belief in the value of an inclusive and diverse community has underpinned his work. He served as director of the Alfred P. Sloan Doctoral Scholars Program and presently serves as secretary of the Board of Directors for the National GEM Consortium Fellowship Program. The percentage of women and underrepresented minorities in the UMD engineering undergraduate student body has grown to 25 and 16 percent, respectively, during his time as dean. According to Diverse Issues in Higher Education, the Clark School ranks among the top 10 in conferring the most B.S., M.S., and Ph.D. degrees to African-American students. "This honor adds another well-deserved milestone to Darryll's achievements as an engineer and educator," said University of Maryland President Wallace Loh. "His leadership has infused our engineering program with even greater levels of excellence and innovation. We are delighted by this wonderful news." Pines is currently leading an initiative to pilot a first-of-its-kind, nationwide, pre-college course on engineering principles and design. The pilot program, Engineering For US All (E4USA), will test the effectiveness of a standardized educational curriculum across multiple states. The course, made possible through a $4 million NSF grant, is intended to eventually provide the equivalent of placement credit for an introductory college course. Among his many awards are UMD’s 2018 President’s Medal, the State of Maryland House of Delegates Speaker's Medallion in 2015, and various teaching awards, including two Department of Aerospace Broken Propeller awards and the Clark School’s E.Robert Kent Teaching Award for junior faculty. Pines’s research focuses on structural dynamics, including structural health monitoring and prognosis, smart sensors, and adaptive, morphing, and biologically inspired structures, as well as the guidance, navigation, and control of uninhabited aerospace vehicles at all length scales. He has published more than 250 technical papers and obtained six patents—U.S. and worldwide—in the areas of smart structures, structural health monitoring, micro air vehicles, navigation, guidance, and control of aerospace systems. Pines has served on numerous technical boards and committees, including the American Association of Engineering Education, the American Helicopter Society, the American Institute of Aeronautics and Astronautics, the American Society of Mechanical Engineering, and is currently serving as the chair of National Science Foundation’s Engineering Directorate Advisory Committee. During a leave of absence from UMD from 2003–2006, Pines served as program manager for the Tactical Technology Office and Defense Sciences Office of Defense Advanced Research Projects Agency (DARPA). While at DARPA, Pines initiated five new programs primarily related to the development of aerospace technologies, for which he received a Distinguished Service Medal. One program, named the X-ray Navigation (XNAV), involved the use of x-ray pulsars as navigation beacons to enable spacecraft to determine their position without the use of ground assets. Another program, termed the Nano Air Vehicles (NAV) program, served to inspire the current drone revolution and helped to develop enabling technology to achieve autonomous drones weighing less than 50 grams. He also held positions at the Lawrence Livermore National Laboratory (LLNL), Chevron Corporation, and Space Tethers, Inc. At LLNL, Pines worked on the Clementine spacecraft program, which discovered water near the south pole of the moon. A replica of the spacecraft now sits in the National Air and Space Museum. Pines is a fellow of the Institute of Physics, the American Society of Mechanical Engineers, and the American Institute of Aeronautics and Astronautics and has received a NSF CAREER Award. Pines received a B.S. in mechanical engineering from the University of California, Berkeley. He earned M.S. and Ph.D. degrees in mechanical engineering from the Massachusetts Institute of Technology. NAE membership honors those who have made outstanding contributions to "engineering research, practice, or education, including, where appropriate, significant contributions to the engineering literature" and to "the pioneering of new and developing fields of technology, making major advancements in traditional fields of engineering, or developing/implementing innovative approaches to engineering education." Individuals in the newly elected class will be formally inducted during a ceremony at the NAE's annual meeting in Washington, D.C., on October 6, 2019.